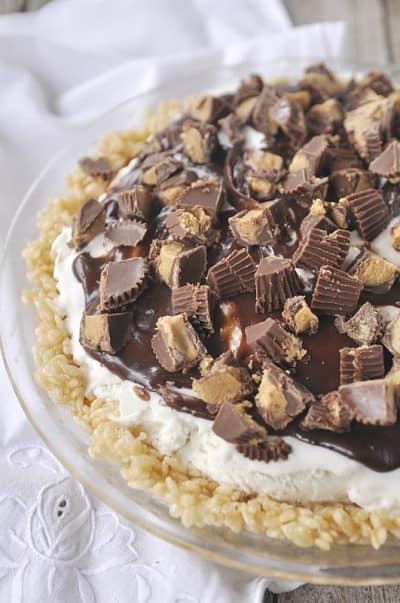 German Chocolate Pie . 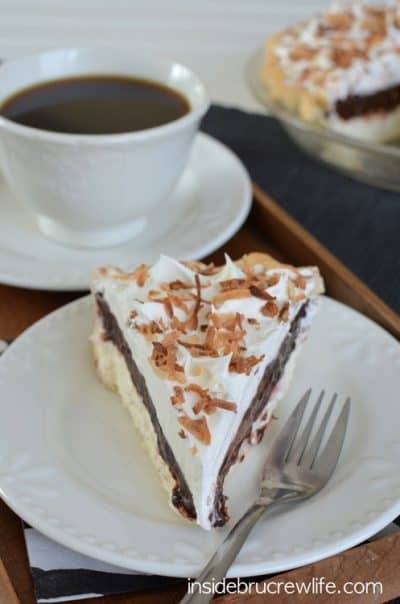 . . if you love German chocolate cake, this pie recipe is a must try. 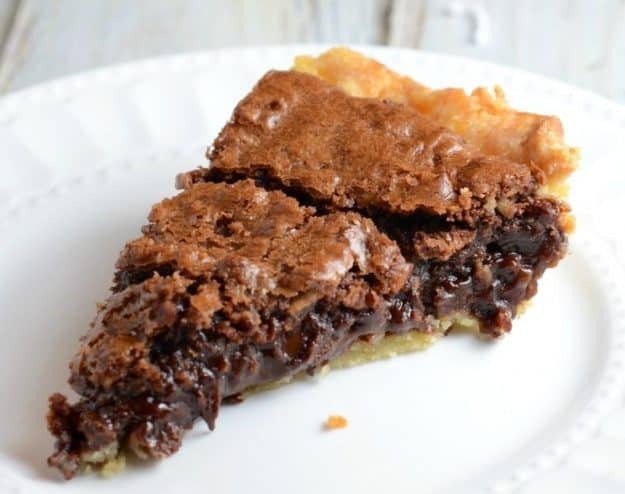 It is ooey gooey, and delicious! 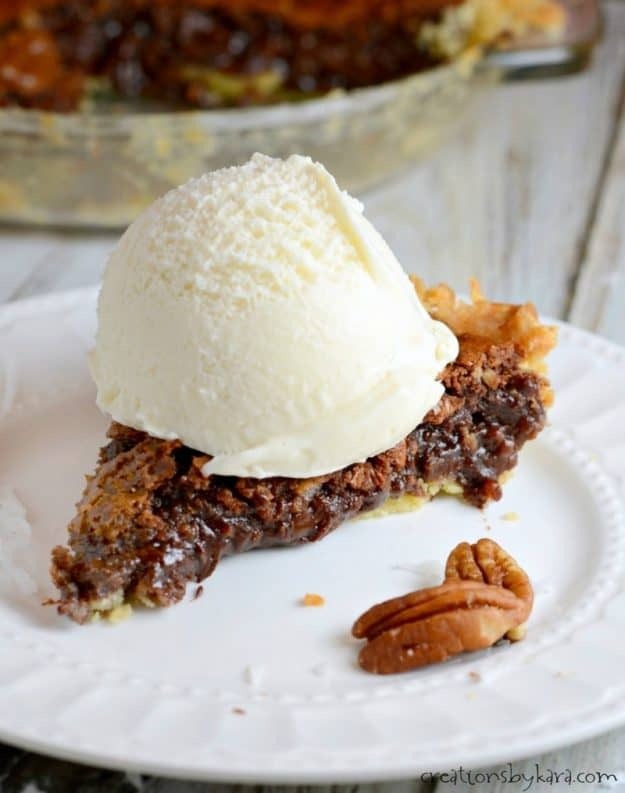 We love all things German chocolate at my house, and this pie was no exception! 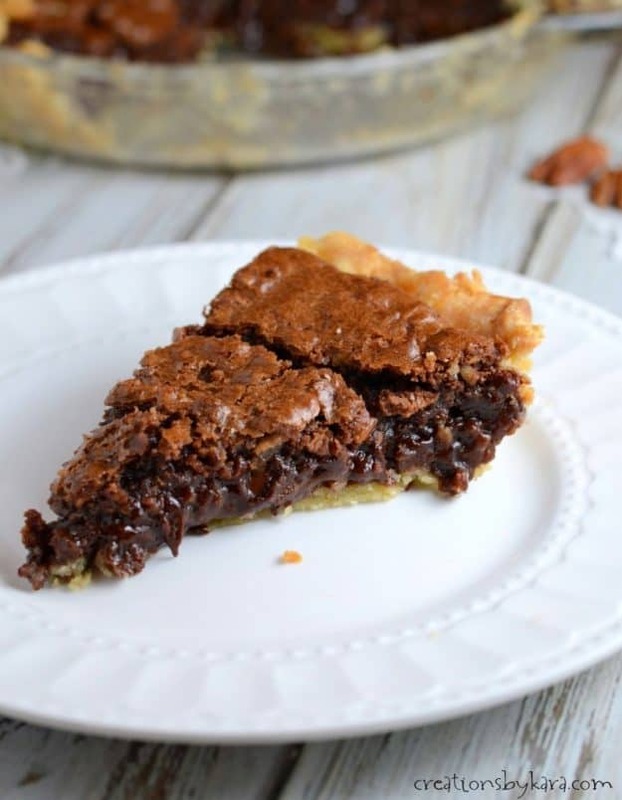 Rich gooey chocolate with nuts and coconut all in a buttery crust – what’s not to love? 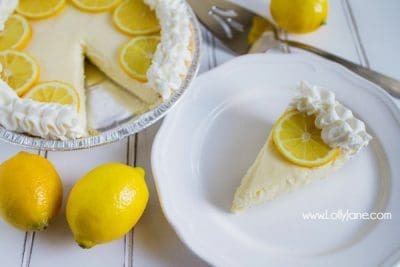 I can’t even tell you how much I loved this pie. I was in heaven with every single bite. 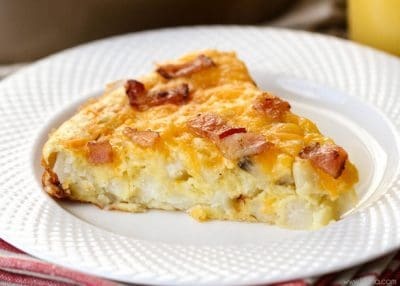 I’m drooling just thinking about it. I mean check out that chocolatey goodness! 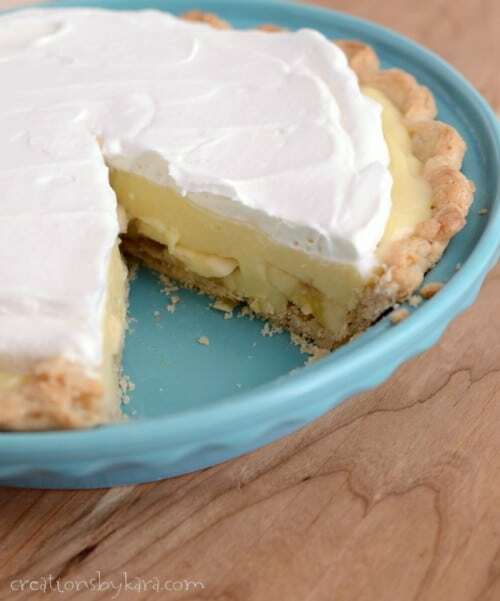 You can serve this pie warm or cold. I prefer warm – with a scoop of vanilla ice cream of course! 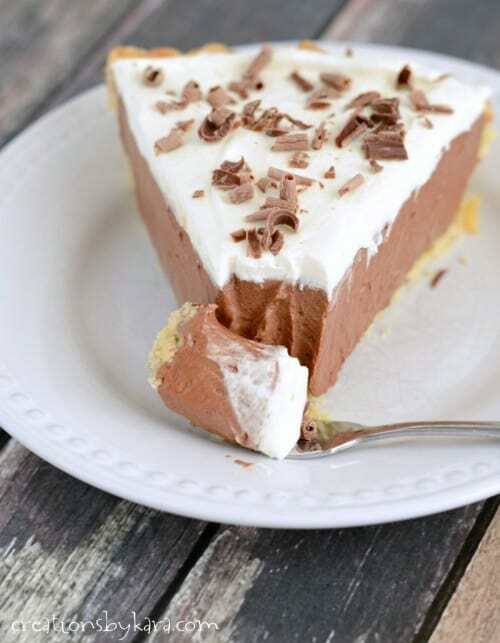 If you have a German chocolate cake fan in your life, you should make them this pie. They will be sure to sing your praises. The crunchy chopped nuts and coconut combined with the ooey gooey chocolate is a match made in heaven. It is one of my new favorites! 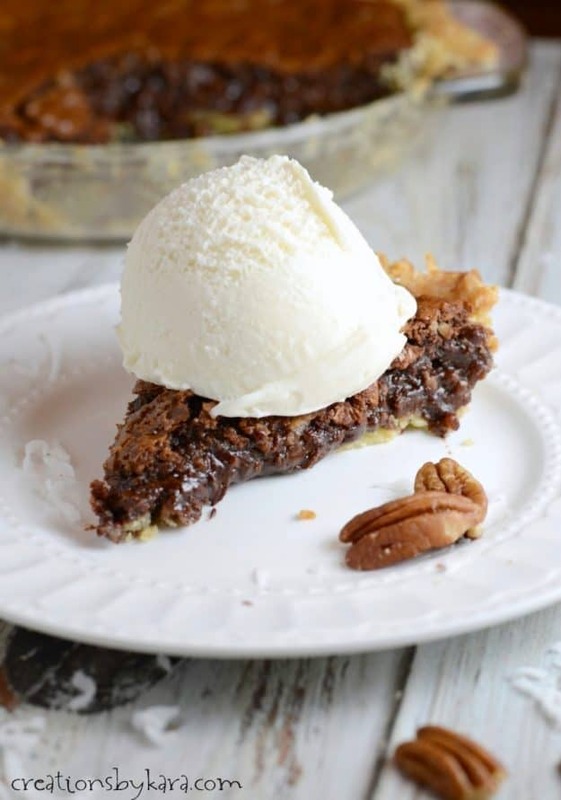 Baked chocolate pie filled with coconut, pecans, and chocolate chips. Combine butter and one cup of chocolate chips in a glass bowl. Melt in the microwave, stirring every 30 seconds till smooth. Set aside. Whisk together the sugars, flour, and salt in a large mixing bowl. Slowly beat in the melted chocolate mixture at low speed. Beat in the eggs one at a time. Fold in the vanilla, pecans, coconut, and 1/4 cup chocolate chips. 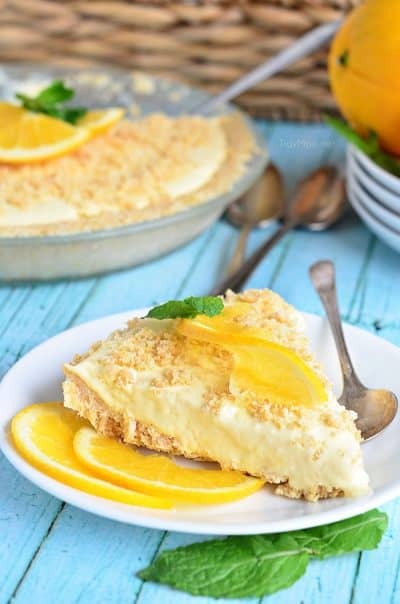 Pour mixture into the unbaked pie crust. Bake at 350° for about 35-40 minutes, or till set. Be careful not to over-bake. 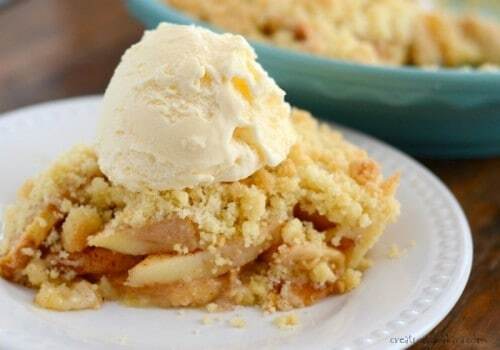 Serve warm with ice cream, or at room temperature. 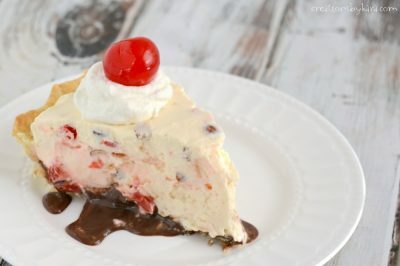 Being that it is March 14th (3.14), it is National Pie Day!! 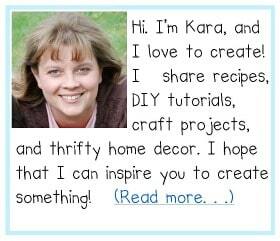 I’m teaming up with my celebrating food bloggers to bring you almost two dozen spectacular pie recipes. 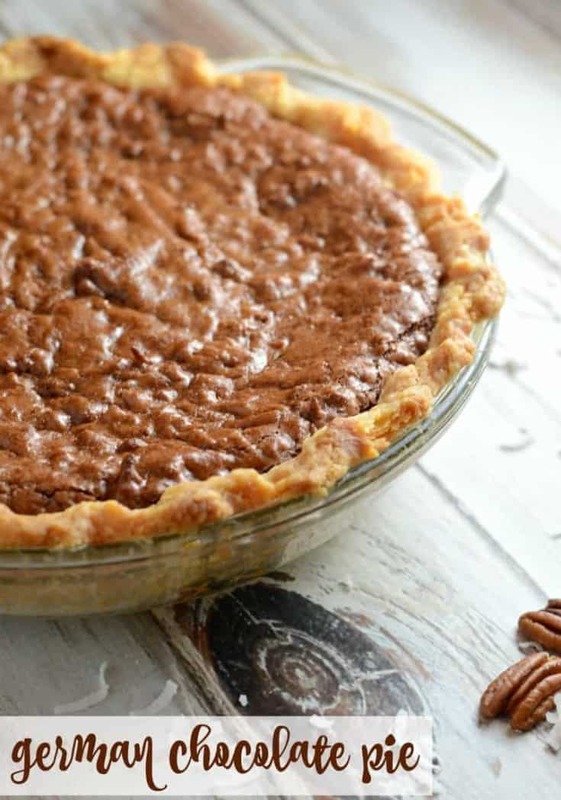 Some sweet, some savory, there is something for every pie lover!